At Alliance Renovations and Refurbishments we deliver a high quality, professional building service. 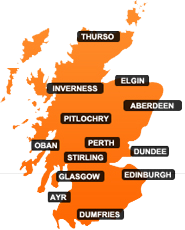 From our base in Aberuthven, Perthshire, we work across Perth & Kinross, Dundee & Angus, Fife, Edinburgh, Glasgow and Stirling, supporting our residential and corporate clients. We can reinvent your property. Whether that means refurbishing a single room, or renovating things on a much larger scale. We specialise in period properties, preserving the details that give character to a building: the coving, cornicing, ceiling roses and fireplaces. But we’re equally at home working in a modern, de-furbished, open-plan office space – or extending your modern home by converting the garage. Done well, renovations can pay for themselves; and then some. A survey by Nationwide Building Society reported that adding a loft conversion or extension can increase the value of a typical three-bedroom home in the UK by, on average, 22%! That makes any renovation a real investment opportunity. But even if you’re not planning to move any time soon, refurbishing your kitchen or bathroom can also transform your everyday life. A simple refurbishment can transform a faded home or office space into an inspiring environment, where you can enjoy living and/or working with fresh enthusiasm. Perhaps your property is currently in poor repair? Converting your loft, garage or basement might well add tens of thousands to the value of your property, but if your budget is limited then refurbishing still allows you to enhance your day-to-day personal comfort. Refitting the kitchen or bathroom adds a personal touch to what, after all, is your home. Indulge yourself. If budgets are tight, make maintenance your priority – and help stave off larger emergency bills further down the line. Think about home insulation, fix loose tiles, re-felt any flat roof, replace old windows; and explore other ways to cut down your costs. Whatever change you want to see, Alliance can help you achieve your goal. We have the skills, experience and expertise to make it happen – be it a complete property overhaul, or a small general repair. Whether your project is prompted by a life-long dream home; or is a necessity brought on by the nightmare of a fire or flood-induced renovation, begin by taking the right first step: call us today for a free, no obligation quote on your project.